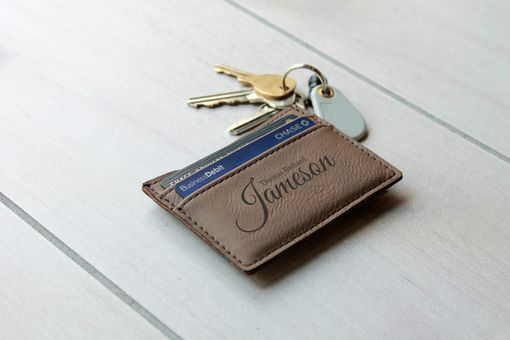 Our personalized Leather money clips are engraved with precision on the color of light or dark brown. Our custom engraved money clips are the perfect gifts for any special occasion. They especially make great gifts for groomsmen, graduation, birthday & anniversaries. The process was made so easy! Great communication, made and shipped so quickly and I love the product received. I will definitely use Etchey again! Thank you for providing a great product at a great value.